Below you’ll find three executive cover letters: Chief Executive Officer (below), Chief Information Office, and Chief Technology Officer. Create your authoritative cover letter today, and land more interviews. With years of success in the industry, I am ready to join Capital Industries as your next CEO. I have a track record of identifying growth opportunities in the cloud computing industry over the past 15 years. 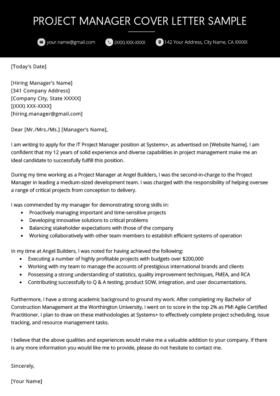 I am seeking to leverage my exceptional company management, capital fundraising, and software application engineering abilities in a new challenge. I work well with established, talented teams to spearhead new markets. As Chairman and CEO of Century Industries, I am responsible for providing the visionary leadership for a $10.5 million technology company offering a cloud-based Platform as a Service (PaaS) for the natural gas industry in the Midwest. My hands-on ability to work with clients in the field resulting in numerous successful partnerships. Co-Founder and President/CEO of CloudOne, a specialized Quality of Service (QoS) Platform using PaaS business model with $35 million in total revenue – negotiated $50 million exit with Amazon Web Services. Grew Century Industries personnel from 50 to 250 and delivered revenue growth from $6 million to $10.4 million. I researched into the background of Capital Industries after our initial discussions about the role. With a new market strategy, your engineers and sales teams will be a great foundation to begin creating new products. I am ready to lead Capital Industries to new heights of success. I look forward to scheduling an interview at your earliest convenience. Please call 479.668.9178 or email me at yourname@gmail.com. Thank you for your consideration. Years of experience in C-suite roles has prepared me well for Band’s next CIO. I have proven success in business generation, operations management, entrepreneurship, and security in higher education, private industry, and government over the past 15 years. I am seeking to leverage proven technical architecture, IT development, and software engineering abilities in a new challenge. As CIO of Plainview University, I am responsible for the central administration of technology for faculty members, graduate, and undergraduate schools. I currently oversee a staff of 15 IT managers and specialists with a $10 million budget. During my tenure, I have initiated numerous campus-wide programs that have shaped the entire university’s technological landscape. Before this, I was CIO for Row Chemicals in Trenton, New Jersey from 2004 to 2013, where I designed reliable and high performing Service Oriented Architecture solutions. From 2004 to 2008, I was CIO of the State of New York, where I oversaw the strategic management and direction of the state’s technology resources and network infrastructure. Plainville University: Founding executive director of Plainview OpenCourseWare – the original Massive Open Online Course. Row Chemicals: Created enterprise software suite to assist business process flows, event flows, and GUI frames with over $110 million in revenue. State of New York: Spearheaded several public infrastructure anti-hacking projects in conjunction with the Department of Homeland Security. After our initial discussions about the role, I researched into the background of Band. With an established enterprise product, your teams are ready to spearhead new technical initiatives with your current customer base. Together, we can continue to develop new areas of success and build long term growth. I look forward to scheduling an interview at your earliest convenience. Please call 718.912.4126 or email me at youremail@gmail.com. Thank you for your consideration. I am confident I will be an excellent fit for TVidia.com’s CTO position. I have proven success in product innovation, entrepreneurship, and product development in video technology over the past 15 years. I am seeking to leverage my data-driven software development abilities in a new and challenging role. In my current role as CTO for Render, I oversee all product development for our venture-backed startup focused on delivering modern virtual reality headsets, mapping, and simulation products. I determine the overall strategic direction of product development and uphold the company’s position at the forefront of technology by focusing on product content and user design. Previously, I was Chief Technical Architect and Vice President for Envisio.io, Lead Technical Architect for AdNext, and Founder and CTO of VidEx Networks, Inc. Please review the enclosed resume for further details. Delivered numerous training modules and presentations by collaborating with top engineers from Google, the US Army, the Weather Channel, Emirates Airlines, and the USC School of Architecture. After our initial discussions about the role, I researched additional product strategies for Tvidia.com. As GPU-based deep learning technology develops at breakneck speed, smart camera products and systems are proving to be huge revenue generators. With your world-class engineers and my leadership, together we can continue to develop new products and position TVidia for long term growth. I look forward to scheduling an interview at your earliest convenience. Please call 605.337.9559 or email me at youremail@gmail.com. Thank you for your consideration. You must tailor each letter to your targeted job in order for a cover letter to be effective. Generalized cover letters are easy to spot, especially at the executive level. You must persuasively demonstrate that you will fit well into a new company. Do a bit of background research into the targeted company by looking at their products, company culture, and mission statements. If you feel confident in doing so, try to propose a vision for the company’s future.